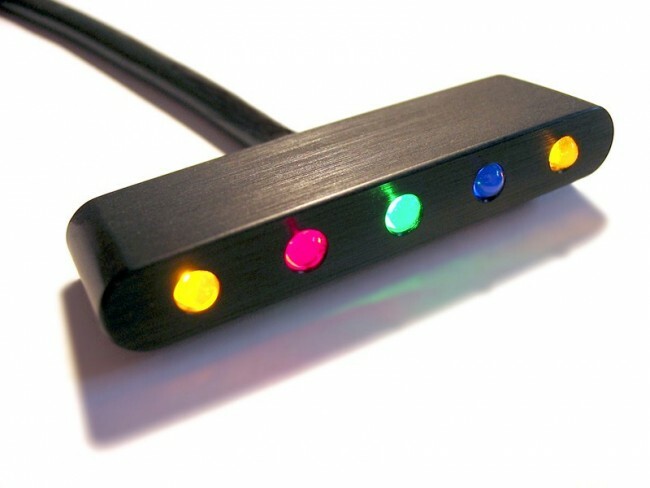 An extremely small indicator light unit featuring 5 colored LEDs. Designed to be used with the Motoscope Mini. L x W x D: 46mm, 7mm, 13mm. Apprx. 50cm long connection cable. Two Mx3 threaded fastening holes. Weight with cable is approx. 18 grams Equipped with integrated multiplier resistors. 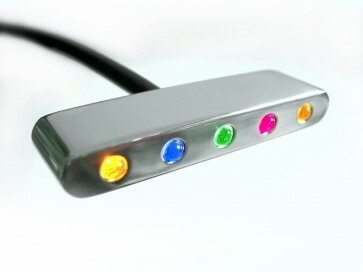 LED colors: 2 x yellow (indicators left/right or 1 x indicators/ 1 x warning light). 1 x green (idle gear). 1 x blue (high beam). 1 x red (warning light). Available with silver or black housing.